Brought to you by 23andMe. Ever since my 7th grade science class, I&apos;ve been fascinated by the idea of understanding information about health and ancestry by studying DNA. Yet, beyond the occasional Family Tree assignments, I&apos;d never taken a deep dive into my own background. So when 23andMe, a genetic analysis service that several of my friends had used and loved, provided me with the opportunity to use their test, I jumped at the chance. 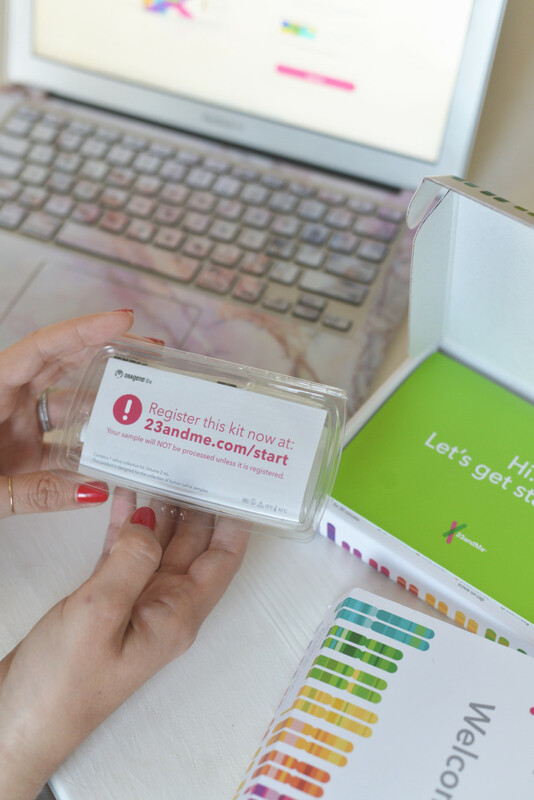 The name 23andMe comes from the fact that human DNA is organized into 23 pairs of chromosomes and the service examines your genes and offers insights into your ancestry, health, and traits. Waiting for the results was like waiting to open a present of new information: how likely I am to be an especially deep sleeper, whether I have the muscle composition common in elite power athletes, if I&apos;d discover new DNA relatives, if I&apos;m predisposed to weigh more or less than average, and where my family originated from. The process was seamless and simple. The saliva test kits arrived at our home (one each, for me and G), then we filled them up and sent them back. It only took a few weeks to get the results back and we dedicated an entire evening to going over our results. Side note: While it&apos;s certainly not necessary to do this with someone else, I highly recommend it since it&apos;s really fun to be able to compare your results, side by side. The reports are broken down into a few main categories, though I was most interested in finding out about my ancestry and wellness. Below are a few of the most interesting results and how I&apos;ve made certain adjustments in my life based on the findings. I make sleep a priority and strive to get eight hours a night, but I wasn&apos;t surprised to find out that genetically I&apos;m not likely to be an especially deep sleeper. I’ve always blamed poor sleep quality on my cat jumping on me, Sloan calling my name, a blaring siren, or feeling too hot. It was interesting to discover that beyond these disruptions I am actually predisposed to not have as strong of delta waves (which are responsible for deep sleep). Knowing this, I started thinking about my overall sleep quality and how I could make small changes. We now sleep with a fan for both white noise and air circulation, I stay off my phone the hour before bed, and try to go to bed and get up at roughly the same time every day. G jokes that sleeping next to me is like being in bed with a hurricane. 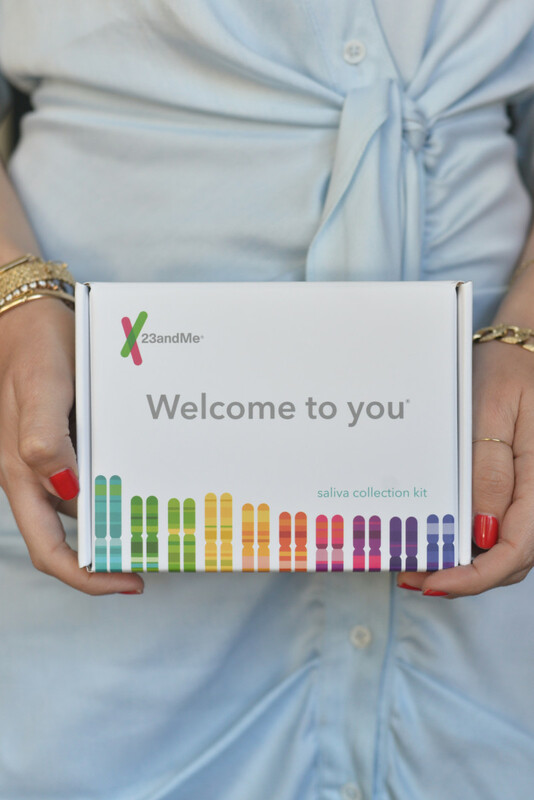 The 23andMe report looks at a genetic marker in the BTBD9 gene (there are two possible versions of the marker, the A variant and the G variant). For each copy of the A variant a person has, they&apos;re likely to move their limbs an additional 4-5 times per hour while sleeping, relative to people with two copies of the G variant. For someone like me whose genetic result is AA, that means that I most likely move 16+ times per hour each night. In reading further on the site, I found that in some studies, having more sleep movements is also associated with low levels of iron in the blood, which mirrors what my doctor found after a recent blood test. Needless to say, based on my doctor&apos;s recommendation, I&apos;ve since implemented a couple of tweaks, including taking a daily iron supplement and exercising more, two things that should hopefully start to make a bit of a difference. I&apos;ve never been particularly careful with what I eat and how often I work out. And I get a lot of questions about that. I&apos;ve found that no matter what I do, my weight is relatively stable (another report within 23andMe stated that my weight is likely to be similar on diets high or low in saturated fat with the same number of total calories). 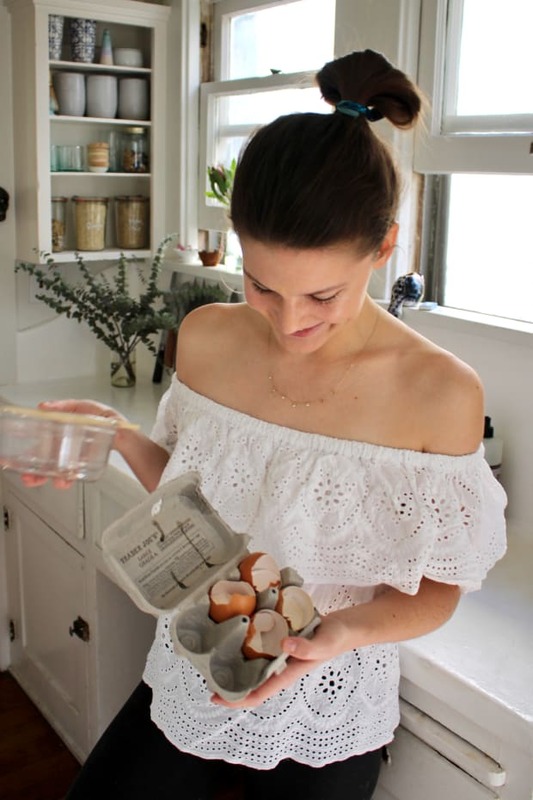 Though I&apos;m predisposed to weigh less than average, there are certain lifestyle factors associated with the biggest weight differences for someone genetically like me. Three suggested healthy habits are: limiting red meat, avoiding fast food, and sleeping a healthy amount. These factors change from person to person (exercise was much higher up on G&apos;s list than mine), but it&apos;s helpful to know that the impact of certain lifestyle choices can be influenced by genetics. I played a lot of sports and since both of my parents are athletic, I wasn&apos;t surprised that my genetic muscle composition is common to those found in elite power athletes. The report is based on a genetic marker in the ACTN3 gene, which controls whether muscle cells produce a protein that&apos;s found in fast-twitch muscle fibers. While some people don&apos;t produce this protein at all, almost all of the elite power athletes, who have been studied, have a genetic variant that allows them to produce the protein. This suggests that the protein may be beneficial at least at the highest levels of power-based athletic competition. My only sport-related accomplishment as of late was the rather sluggish run I went on last week, but even reading about fast-twitch muscle fibers makes me want to get back into shape. The ancestry portion of 23andMe was remarkable to read and I loved diving into the granular results. I&apos;m apparently 100% European (compared to G&apos;s 92%), the majority of which was Ashkenazi Jewish. Since my maternal grandma is from the Czech Republic and my grandfather was Hungarian, I&apos;d assumed those would make up the largest portion, so I was surprised to find out that the second largest percentage was made up of British-Irish. I "most likely had a grandparent, great-grandparent, or second great-grandparent who was 100% British & Irish. This person was likely born between 1860 and 1920." Unbeknownst to me (I confirmed with my dad), my paternal great-grandmother was born in Ireland in 1900. Multiple times, I found myself floored by the sheer accuracy of the test results. 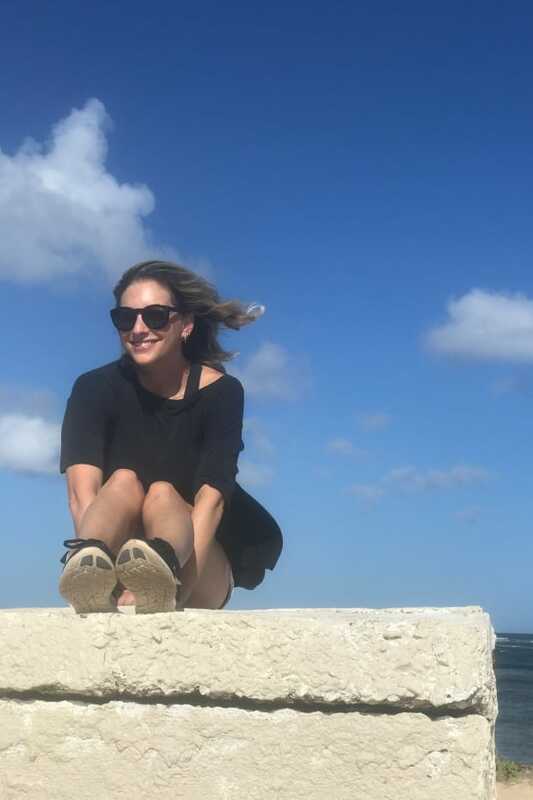 Even supporting certain traits (likely to have lighter eyes, straight or wavy hair, and a longer big toe) was amusing and I loved reading the scientific reasoning that corresponded with each one. 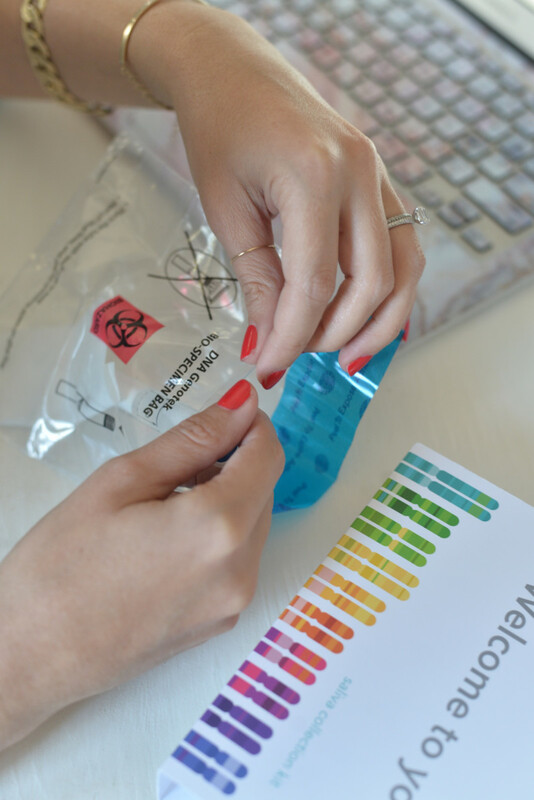 To order your own 23andMe kit, go to 23andMe.com/cupcakesandcashmere.